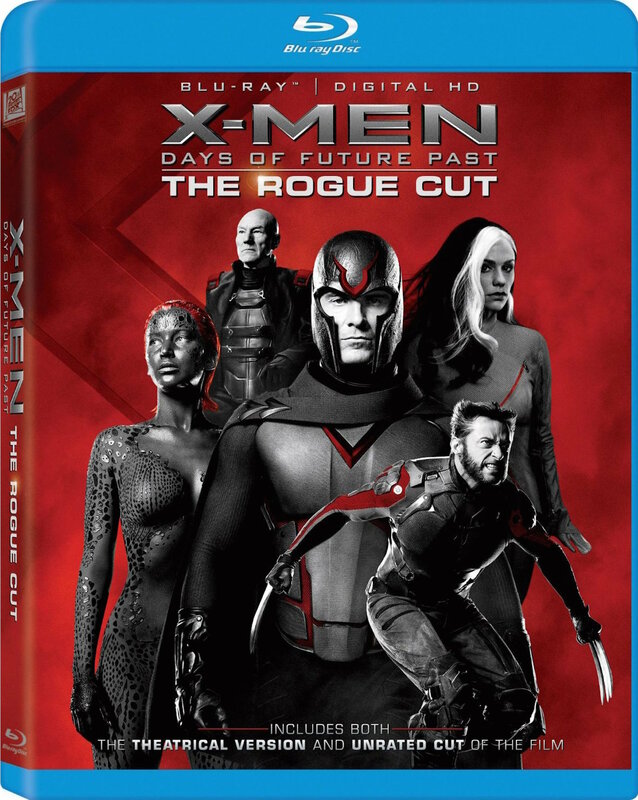 Last week, 20th Century Fox released X-Men: Days of Future Past: The Rogue Cut on Blu-ray, an extended version of last year’s summer blockbuster. Through two previously unreleased scenes and a lot of alternate takes, this new cut includes about fifteen minutes of extra footage, mainly to expand a subplot involving Rogue (Anna Paquin). Although your willingness to invest in a whole new Blu-ray just for a few extra scenes will probably depend on your level of fandom, X-Men: Days of Future Past: The Rogue Cut is still a worthwhile and attractively packaged set, especially for those who never got a copy in the first place. Because even if the added scenes don’t really change our overall perception of the story, the film itself remains an entertaining and well made superhero movie with or without them. My full review of the theatrical cut is right here. This Blu-ray also boasts a ton of new bonus material, including a 52 minute “making of” documentary, a half hour conversation with the cast and crew, and several galleries of storyboards. Then there’s commentary by director Bryan Singer and composer John Ottman on the extended cut, and a secondary commentary track with the director and co-writer Simon Kinberg on the theatrical version. X-Men: Days of Future Past: The Rogue Cut is 148 minutes and unrated, where as the theatrical version which is also included runs for 131 minutes and is rated PG.